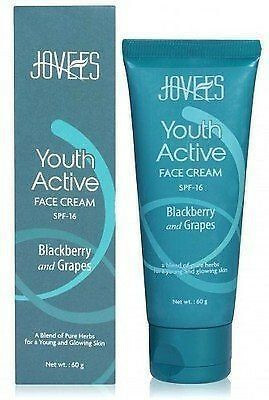 Blended with active ingredients along with extracts of blackberry & grape seeds, our 30+ Youth Face Cream 100gm Jovees helps combat signs of ageing. It is helpful to reduce the appearance of fine lines, boost collagen production, and make skin appear brighter and firmer. So, to buy 30+ Youth Face Cream 100gm Jovees online, one should browse Allgenericmedicine.com. Ours is an online portal that can be used for procuring products in retail or bulk quantities. We offer youth face cream in a pack of 1 tube/ 3 tubes/ 5 tubes. By logging on to our portal, one can add products to the cart, refer them to friends, send inquiry for sourcing retail or bulk quantities, and place orders, we assure on-time product deliveries.